It’s been quite the year for The Macallan. Hot on the heels of the opening of its new distillery and visitor experience centre at the Easter Elchies estate, the whisky maker recently unveiled the much-anticipated Edition No. 4. The fourth release in the series, the limited edition liquid gold is inspired by the past and the future. While Edition No. 3 focused on aroma, Edition No. 4 celebrates the brand-new £140 million distillery, which was designed by internationally acclaimed architect Rogers Stirk Harbour + Partners, and the brand’s whisky-making prowess. “As we enter an exciting new era, Edition No. 4 marks the coming together of our history with fresh horizons in the creation of two structural masterpieces: a remarkable whisky and a new distillery,” explained Nick Savage, Master Distiller at The Macallan. The Edition No. 4 is crafted from a combination of European and American oak casks that were inspired by the structure of the new distillery and specially handpicked by Savage himself to reflect a modern flavour profile while staying true to The Macallan heritage. The result is an exceptionally zesty, vibrant and invigorating single malt that bursts with notes of rounded honey, sweet toffee and citrus fruits. It’s the perfect after-dinner drink and is one of those rare whiskies that will please the palates of both whisky newbies and connoisseurs. And judging by how quickly Edition No. 3 sold out, we reckon it would be a smart move to purchase a bottle of the fourth in the series as soon as it hits the shelves. We honestly think it’s destined to be an icon. The Macallan Edition No. 4 has a recommended retail price of $190++ and is available at The Macallan Boutique @ 1855 and selected retailers, starting from 1 August 2018. 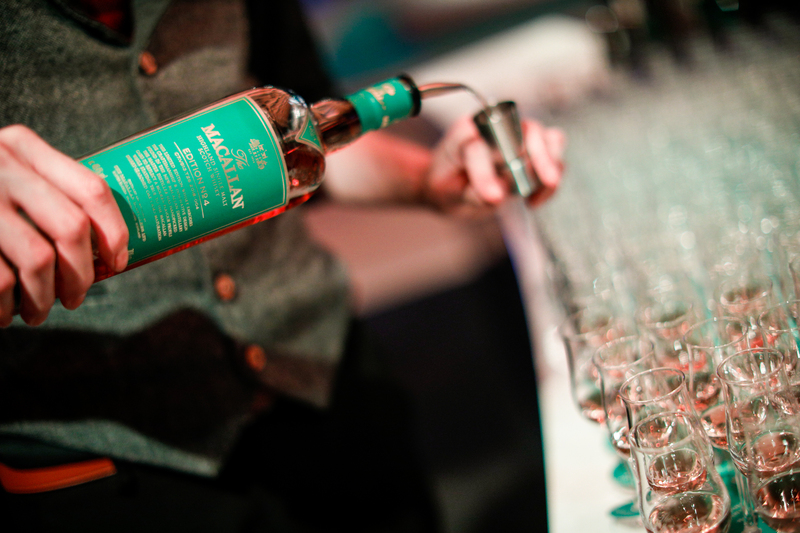 Delve into the world of #TheMacallanSG at its official website, on Instagram and on Facebook.